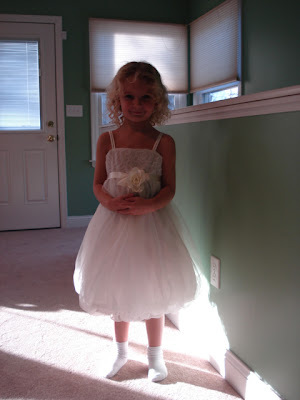 Relentless Bride® Weddings, Wedding Planning, Life & Marriage: Flower Girls Dresses - CHECK! Flower Girls Dresses - CHECK! How cute will the two ladies look in these? Funny how both flower girls - not blood related had the same question after we decided on the dress? Love it! Those dresses are so cute! As the mother of a gorgeous little girl (said completely without bias naturally) we've been called up for FG duty quite a few times and I have loathed every dress. This dress...I'd be thrilled to shell out my hard earned cash for. Too precious! Adorable Dresses and so very stylish too! LOL!! Such girls!! Must be fun raising them.